In the 1950s, New York City youth gangs’ ethnicities ranged from Black, Irish, Puerto Rican to Italian. Some of the individual members of the gangs were from different races such as Dominican, Cuban, German and Polish. This page takes a look at Italian youth gangs and their relationship to the Mafia. Some of the Italian gangs through-out the city that I have researched are the Golden Guineas, Sand Street Angels, Mayrose, Jackson Gents, South Brooklyn Boys, Fulton & Rockaway Boys and the Red Wings. In some cases, the youth gang almost served as a feeder into the Mafia. Of course not anyone could work with the Mafia, only boys who were smart or tough enough were asked to be involved. As they grew up, the boys were observed by the mobsters as they rubbed shoulders in pool rooms and bars scattered across the city. If anyone showed promise, the mobsters took mental notes and eventually asked the person in question to help him in activities like running numbers and making collections. This page can’t even begin to dissect the vast topic of the Italian Mafia from New York City with all the different angles, stories and nuances. But it is safe to say that most people know the far-reaching effect the 5 families had on the city and the grip the Mafia had/has on the unions, garment districts, gambling, loan-sharking and many other activities. There have been many major trials of some of the biggest bosses and capos in New York City that have been documented and followed intensely by Mafia-watchers, the press and researchers. The subject is huge and the reading material on it is wide. These trials predictably have all manner of shocking and salacious details and sometimes when you dig deep, other details come out that show how some of these mobsters started their life of crime, usually in their teens. Take for example, Frank Lino, a capo in the Bonanno crime family. In May 2004, Lino became an informant, testifying against Joe Massino, the boss of the Bonannos. During the testimony, the prosecutor asked him questions starting from the very beginning of his life, when he was born, how many people were in his family etc. As you can see from part of the trial transcript below, Lino testified he began his life of crime in a youth gang from Bensonhurst called the Avenue U Boys. The Avenue U Boys committed robberies and had fights with other gangs in the area like the Zippers, Ghosts, Dandies, Senators and Silver Aces. Lino became involved with the Mafia around this time by running card games for a soldier in the Genovese crime family. 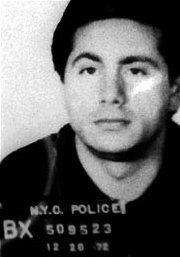 Another example of a member of the Mafia starting his career of crime in youth gangs is that of Carmine Persico. Persico is currently the boss of the Colombo family and is in jail serving a 139 year sentence for murder, extortion, illegal gambling, racketeering and loan sharking. He began his life of crime when he dropped out of high school and joined either the Garfield Boys or South Brooklyn Boys – depending on who you ask. His splash into crime was much more serious than the robberies and rumbles Lino was involved in with the Avenue U Boys. Persico was arrested for his role in the fatal beating of a rival gang member in Prospect Park in 1951, but charges against him were dropped. Persico received a reputation in the neighbourhood for beating the charges and a soldier from the Profaci crime family, seeing promise in Persico, invited him to assist with his illegal activities. Persico became a made man in the Colombo family at the very young age of 25, eventually becoming the boss of the family. Eric Schneider, author of Vampires, Dragons and Egyptian Kings, interviewed several former gang members who, in the 1950s, while in a gang, dreamed of becoming members of the Mafia. In fact some of these promising youths who were in the Red Wings from East Harlem, were recruited by members of the Five Families. Schneider also reported that some members of the Fordham Baldies from the Bronx also joined the Mafia. 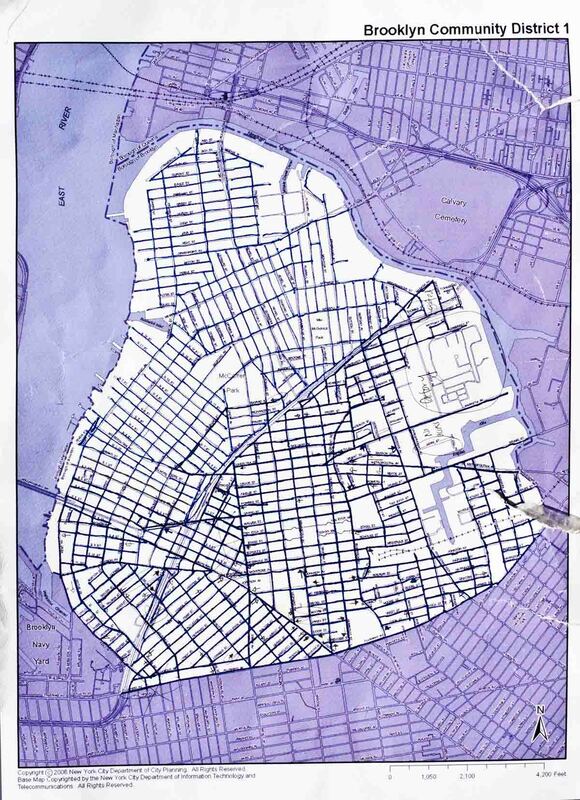 A: Most civilians make the mistake of thinking that the mafia control specific boroughs of NYC. Their influence can be traced throughout the city. Sometimes their interests overlap and they operate in the same area, sometimes not. The Gambino and Genovese families were the main families in our neighborhood. Carlo Gambino came to my Grandmothers wake to pay his respects. As far as the Mafia goes, this was Brooklyn in the 50s and early 60s, the wiseguys were everywhere. They knew us and we knew them, some of the guys’ fathers were involved. Bookmaking and loansharking. We would all be mixed together in the pool rooms and bars. Sometimes we would be in the pool room and they would ask a couple of us to go along with them if they were collecting money from some deadbeat, sometimes for other things. Q: Did the Mafia tell you what to do or worry about your activities bringing unwanted police presence? A: We were not affiliated with the mob. They did their thing and we did ours. The mob guys never told us to cool anything. They couldn’t care less what we were up to. As I said, they did their thing and we did ours. Gang violence didn’t impinge on their business, if it did we would have heard from them. Q: Did the Mafia look at the Jackson Gents as possible members? A: They looked at us as a kind of recruiting ground and approved of our conduct. I don’t mean to give you the impression that they talked to us about it or told us what to do. They just liked the fact that we were tough kids and had the balls to do what other people were afraid to do. Some of our guys ended up with them, I was asked if I had any interest myself. His exact words to me were “You can’t be half a prick so think it over and you can come with me.” As far as the Mafia pecking order goes we knew wiseguys from every strata. 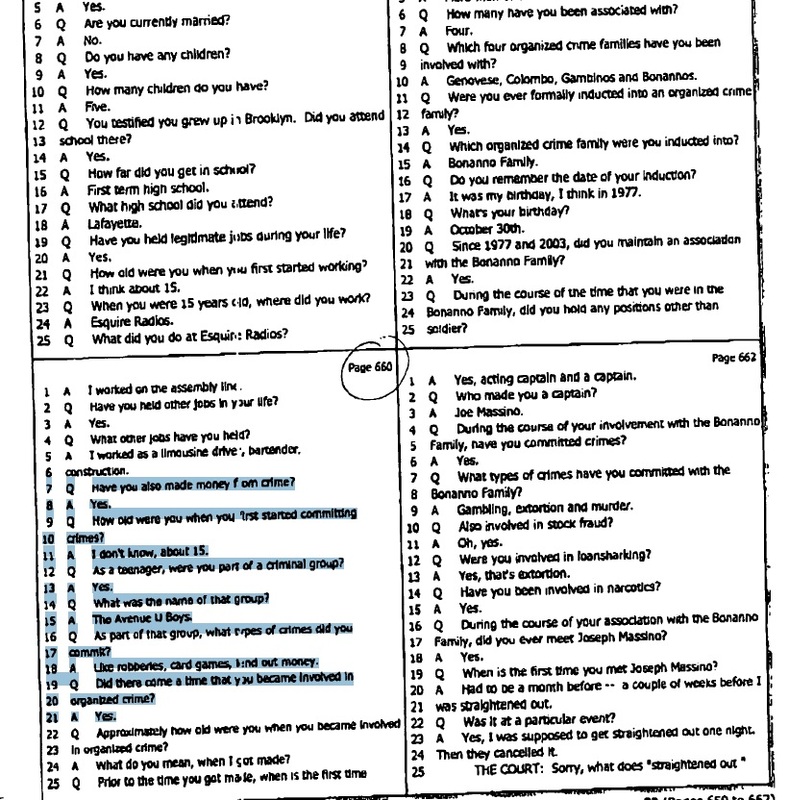 Q: Did any of the Jackson Gents help the Mafia with some of their tasks? A: I knew the wiseguys well and on occasion helped them, sometimes to collect money or sometimes to help scare some deadbeat. These guys were dual personalities. They were a lot of fun to be around, but when they were working they wore their game-face and they could be pretty scary. While it is true that we helped them now and then it was very haphazard. I’ll give you an example. In those days the pool rooms opened at about 10 am. One summer morning I was shooting pool alone in Charlie Politos pool room. When I say alone, I mean the place was empty save for the owner Charlie and me. I was practicing on the front table right near the door. A wiseguy pulled up in a tow truck, he stuck his head in the door and said “Hey ____ , take a ride with me.” Some guy owed him money so we drove up Graham Ave. and found him washing his car. It was a red ’57 Ford convertible, a real nice car at that time. When we drove up he saw us and ran away. We got out of the truck, hooked the cable to the car frame underneath the car, and turned it upside down in the middle of the street. He drove me back to the poolroom and we never spoke about it again. Map of Williamsburg. It is here that both the Jackson Gents and Mafia had a presence. As you can see, there is an interesting relationship between organized crime and some of the Italian youth gangs in New York City in the 1950s. The options for Black and Puerto Rican youth gang members to graduate into organized crime were not as available as the Italians, but there were cases of it happening.